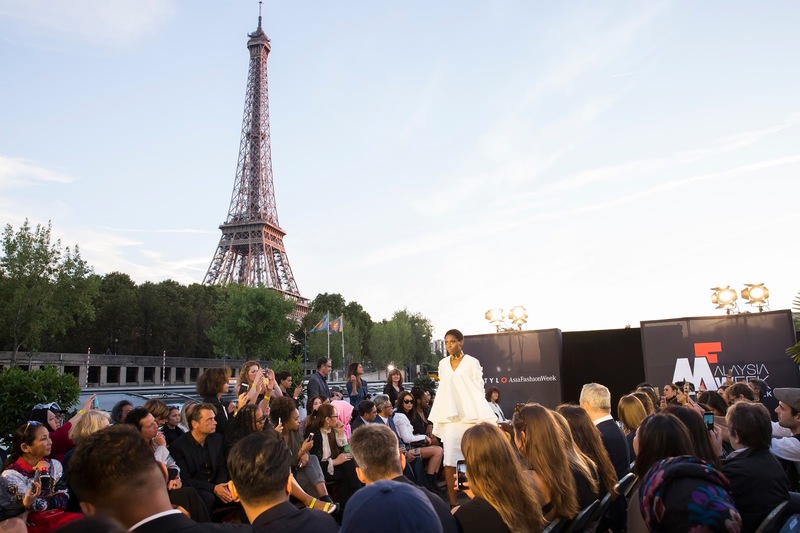 Malaysia Fashion Week (MFW) 2016 was officially launched globally last week to a host of global guests, on board the STYLO Asia on the Seine in Paris, France. Organised by MATRADE in partnership with STYLO International and Mercedes-Benz, the global launch of MFW 2016 featured ten top Malaysian fashion designers with the likes of Bon Zainal, JO DISAYA, Bill Keith, Keith Kee, Fizi Woo, Tanoti Crafts, Sakura Malaysia, RuzzGahara, Porosus and Toi. Showcasing their Ready-to-Wear Spring/Summer 2017 collections. The collections were featured through a fashion show held on the boat itself. The collections showcased at the global launch embody Malaysian chic traditional wear pulsed with sculptural and sharp-edged silhouettes and whimsical totes.